ROSSBURG, OH — Apr. 28, 2018 — The Sunoco American Late Model Series kicked off its 24th season of racing on the biggest stage in all of dirt track racing. The famed ½ (0.500)-mile high-banked dirt oval of Eldora Speedway (OH), located just east of the Indiana/Ohio state line in Rossburg, OH was the site for the 2018 season opener, the $5,000-to-win Late Model LidLifter. 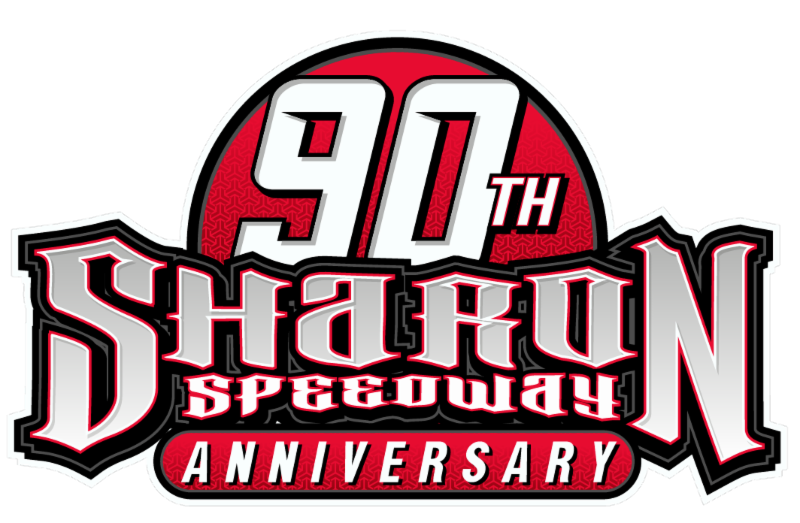 This event was the first of four appearances of the season at Eldora and 88th all-time event at the Buckeye State oval, the most of any track in the 23-year history of the series. When the checkered flag flew, Nick Hoffman was the surprised winner in Victory Lane after flagged winner Jason Jameson crossed the scales light by just four pounds. “I wasn’t expecting that at all. I was happy to finish second after the great battle him and I had,“ explained the soon to be 26-year-old (on May 1st) after climbing from his #2 Propane Direct / Rocket XR1 machine. “It was a battle to start 10th in this field and work our way up to have a chance to win this. I hate to win that way, but we did have a helluva hot rod tonight,” added the Belleville, IL driver who now calls Mooresville, NC home. The 407th all-time event in series history would see three-time DIRTcar Modified National Champion Devin Gilpin and Jameson lead the field to the green flag for the 25-lap feature. Gilpin would beat Jameson to the first corner to grab the early lead while the rest of the pack jockeyed for position behind them. After a caution on lap nine, the restart would see Jameson shoot out ahead of Gilpin to take over the top spot and try to pull away from the rest of the field. At the halfway mark, Hoffman, who started 10th, had worked his way up to fourth and with 10 laps to go, disposed of 1997 Dirt Late Model Dream winner, Jimmy Mars and then Gilpin to take over second with six laps to go. He set his sights on Jameson and the battle was on for the lead. Hoffman tried high and low to get past Jameson, but it wasn’t enough as Jameson would see the checkered flag first, only to lose the victory by being light at the scales by just four pounds. Gilpin would take second in the final rundown with Mars completing the podium finishers in third. 19-year-old Kody Evans scored an impressive fourth showing ahead of three-time and defending series champion, Jon Henry, who would finish off the top five. Two-time and defending DIRTcar Super Late Model National Champion, Rusty Schlenk finished sixth as Dustin Nobbe, defending track champion, Kent Robinson, five-time track champion, Matt Miller and Rob Anderzack were the final top 10. Earlier in the afternoon, Jameson picked up the Fast Qualifier honors over the 24-car field with a 15.510 = 116.054mph and he also won his Heat Race. Devin Gilpin and Kody Evans also scored Heat Race victories. 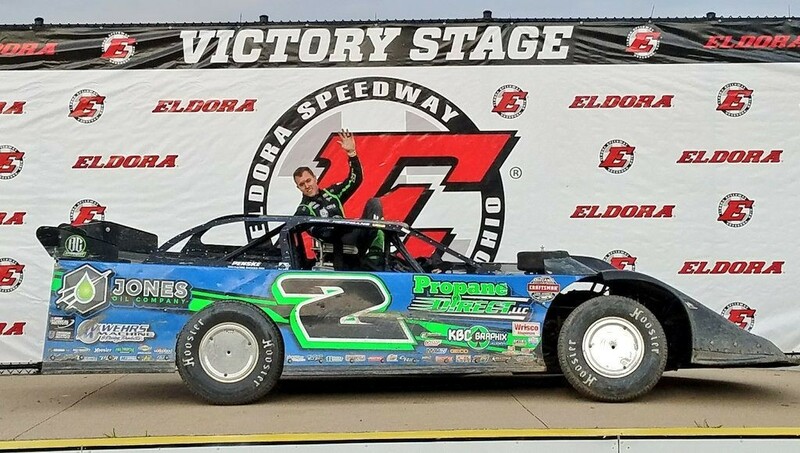 Eldora Speedway will host the Sunoco American Late Model Series three more times in 2018 starting with the traditional Memorial Day Holiday Weekend event, the 48th running of the Johnny Appleseed Classic on Sunday, May 27th. This race is the final opportunity for teams to get all important track time in preparation for the 24th running of the Dirt Late Model Dream on June 7-9th. The traditional Labor Day Holiday Weekend event, the 11th annual Earl Baltes Classic is on Sunday, September 2nd. The Baltes Classic is the last chance for teams to tune up for the 48th annual World 100 the following week on September 6-7-8th. The final appearance of the season is also the final race of the year for the series on Saturday, October 13th as part of the tracks Last Call For Them All weekend. The Sunoco American Late Model Series will head west for the next two shows and both races will be co-sanctioned with the MARS Super Late Model Series. On Friday, May 10th, Farmer City Raceway (IL) will host the 2nd annual Farmer City 74 which will pay $10,000 to the winner. Then the next night, Saturday, May 11th, the teams venture just 40 miles south to Fairbury American Legion Speedway (IL) for the 4th annual #FALS Frenzy, which also pays a cool $10,000 to win. For more information about the remainder of the 2018 racing season within the Sunoco American Late Model Series, visit the series website. You can also follow the series on all Social Media outlets on Facebook and Twitter via the DIRTcar Racing pages using the hashtag #SunocoALMS or #ALMS. Heat #3 – Group C – (8)Laps — 1. 4G-Kody Evans; 2. 55-Jeep VanWormer; 3. C9-Steve Casebolt; 4. CJ1-Rusty Schlenk; 5. 3-Matt Miller; 6. 50Y-Ryan Missler; 7. 1N-Casey Noonan; 8. 69-Jeff Warnick.